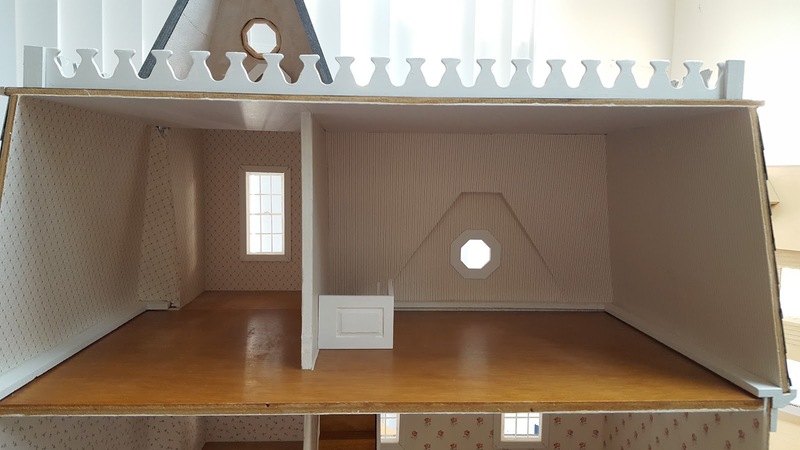 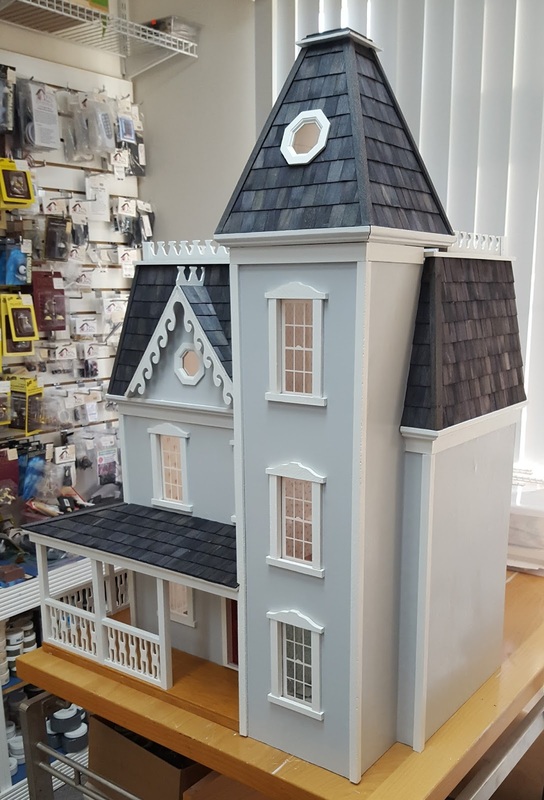 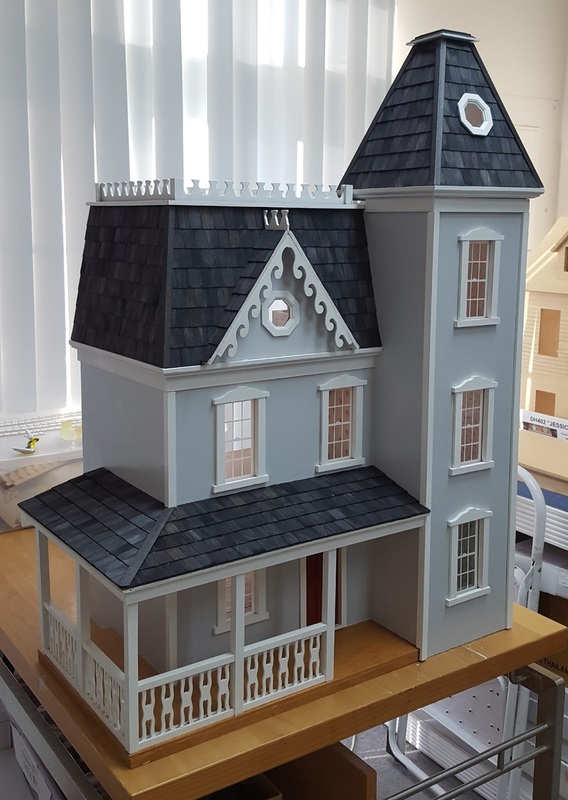 Customer brought us her partially finished Walmer Apple Blossom dollhouse to finish for her. 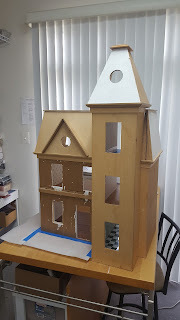 Although it was dropped off at the end of summer, we didn't get to start working on it until after Halloween since we were working on the Rotted Porch Roof dollhouse (Blog Post about our late summer and early fall work). Customer also wanted us to finish wallpapering the interior. 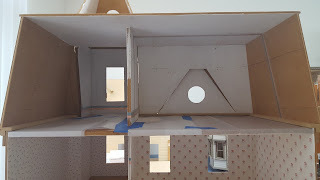 Four ceilings needed paper and the top two rooms needed wallpapers. 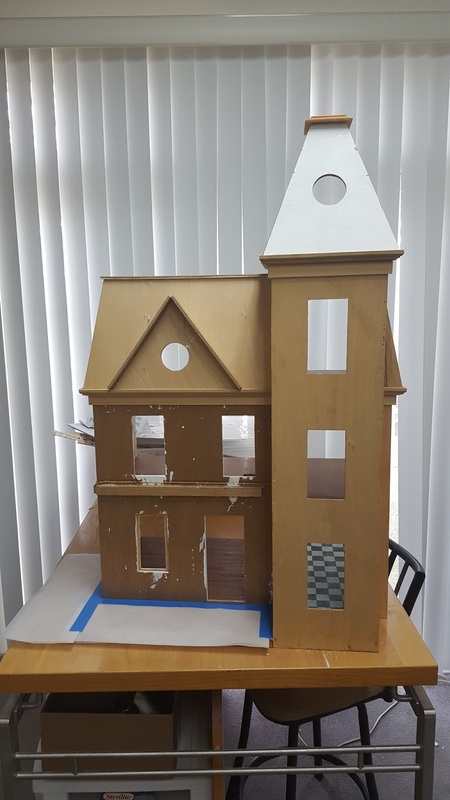 Currently I am working on a customer's house that was ruined in a basement flood as well as a customer's Victorian Doll House by Woodline (First post about current Woodline project). Due to the holidays my own personal miniature work was put on hold: I had to pack it all up so my little nieces and nephews visiting my house didn't play with the delicate parts or hurt themselves with my tools. So, unfortunately, there was no progress made on my mansion. 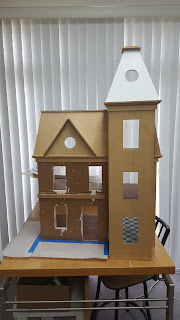 And even though we had two snow days this week, I still did not get any personal mini'ing done since my eldest (about to turn 14 next week) and youngest (9) have both decided they want their real life bedrooms to be redecorated so I have been distracted with wallpaper removal, paint samples, and rearranging furniture the last two days. 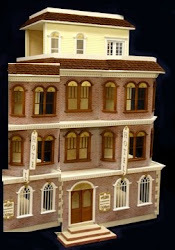 But after teenager's birthday sleepover party next weekend I will attack my mansion with a gleeful energy! 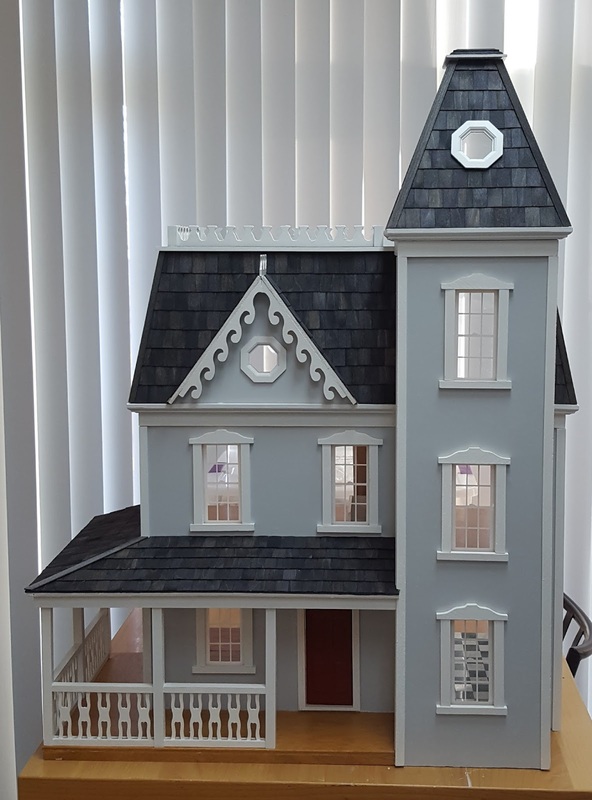 Stay warm, my friends!! !